A rendering of the planned Forest Resort. Real estate firm William Zard Group has unveiled plans for a massive, mixed-use touristic project, spanning 130,000-sq-m, to be built in Ain Saadeh, Lebanon, a report said. Estimated to cost $18 million, Forest Resort will feature a boutique hotel surrounded by a natural park, which will have 1,500 pine trees and hiking trails, a report in businessnews.com said. 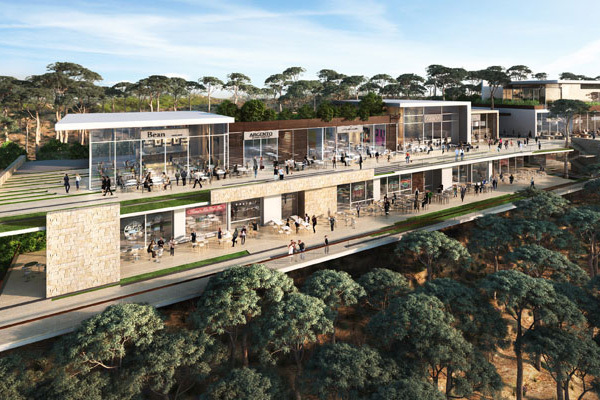 “The eco-friendly project will be a destination for families and is located on a 350-sq-m altitude,” the report cited chairman William Zard Abou Jaoude as saying. The project also includes a food and beverage cluster, with up to 10 branded restaurants. Around 100,000-sq-m of the project will be dedicated for the natural park, while the resort will cover the remaining 30,000-sq-m, the report said.